E-waste or electronic waste consists of broken and unwanted electrical or electronic devices and peripherals such as computers, monitors, printers, batteries, mobile phones, televisions, lamps and others. E-waste usually finds a place in landfills or faces incineration, and both these options raise serious environmental and health issues. Recycling or processing e-waste to extract the minerals trapped inside and reusing the rest of the components is a viable solution to solve the menace of e-waste. The major benefits of e-waste recycling are the elimination of the health and environment hazards caused by disposal of untreated e-waste in landfills. 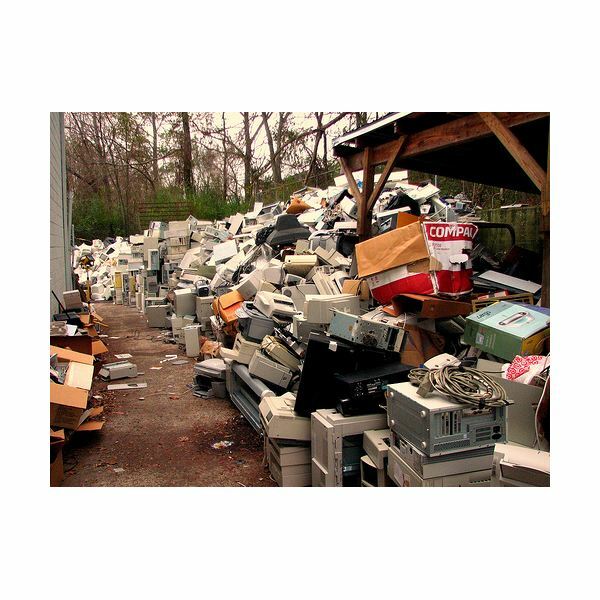 The Federal Environmental Protection Agency (EPA) estimates more than four million tons of e-waste are hitting landfills each year, with the numbers compounding every year. Much of this e-waste contains significant quantities of non-biodegradable toxic substances. Computers, servers, and other IT hardware contain mercury, lead, barium, arsenic, antimony, and cadmium. Flat-panel light displays contain mercury and CRT monitors contain lead. When e-waste finds its way into landfills such toxic metals seep out and contaminate the soil and water, causing health problems and polluting the atmosphere. Incinerating e-waste produces volatilized heavy metals that cause an even more significant public health hazard. Recycling e-waste helps eliminate its propensity to cause health and environmental hazards. Recycling diverts nearly 70 million tons of e-waste away from landfills and incinerators every year. A major health benefit of recycling relates to reduction of pollution. Mining and processing minerals emit 1.5 tons of toxic emissions into the air and water every year. E-waste recycling contributes to eliminating ten major categories of air pollutants and eight major categories of water pollutants. The latest figures estimate that the annual quantity of e-waste recycled in the USA reduces greenhouse gas emissions equivalent to removing nearly 25 million cars from the road. A major benefit of recycling relates to conservation of the world’s precious and finite natural resources such as water, minerals, and timber. The Pennsylvania Department of Environmental Protection estimates that recycling one million tons of steel saves mining of 1.3 million tons of iron ore, 718,000 tons of coal, and 62,000 tons of limestone that would otherwise go to produce the one million tons of steel afresh. Recycling e-waste yields similar benefits. Most e-waste contains minerals such as gold, silver, bauxite, copper, lead, tin and others. Most cell phone and computer manufacturers have buy-back offers allowing customers to deposit their e-waste. Recycling such e-waste provides them with a steady supply of raw materials without having to exploit the nature to find new sources of raw materials. Customers benefit when companies pass on the resultant cost benefits in product pricing. The benefits of e-waste recycling extend to significant reduction of energy requirements. The energy cost to recycle e-waste for minerals is considerably less than the energy costs to mine minerals. For instance, recycling aluminum takes 95 percent less energy compared to making aluminum from raw materials, and the resultant annual savings compares to around 19 million barrels of oil or enough energy to supply electricity to 18 million households a year. Similarly, recycling steel saves 60 percent energy compared to making it afresh, recycling plastics save 70 percent energy and recycling glass saves 40 percent energy. Latest estimates suggest that recycling e-waste results in an annual energy savings of over 660 trillion BTUs, equivalent to the energy consumption of six million homes. Energy savings resultant from e-waste recycling also produce many indirect benefits such as less dependence on finite oil reserves, reduction of air pollution caused by energy production, and decline in greenhouse gas emissions that contribute to global warming. The financial benefits of recycling or the ability of recycled e-waste to generate income makes it one of the fastest growing business opportunities in the USA. The recycling industry generates $236 billion in gross annual sales and $37 billion in annual payrolls. Recycling 10,000 tons of solid waste creates 36 jobs in collecting, processing, and manufacturing the waste. Latest estimates show that recycling creates 1.1 million jobs in the U.S. every year. The financial benefits of e-waste recycling are in stark contrast to dumping e-waste in landfills or incinerating e-waste. Such methods employ only a few people and, far from generating income, lead to many unproductive expenses such as transportation costs, indirect health costs and the like. Even without taking into account the sale of recycled materials, the expenses for recycling work out less in comparison to dumping e-waste in landfills or incinerating e-waste. Benefits of Recycling. Pennsylvania Department of Environmental Protection. Benefits of Recycling. Hamilton County Environmental Services.